We are pleased to offer you access to a comprehensive Voluntary Benefits Program, administered by MARTA’s Human Resources Department. The program makes it possible for FT and PT permanent employees to have access to certain services and purchase various goods by conveniently paying the premiums through payroll deductions. Additional qualification criteria may apply and varies by vendor and services provided. Please visit the vendor’s website for each one of the programs listed below to review the eligibility criteria. 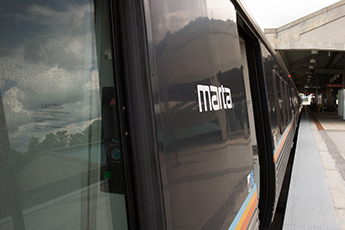 NOTE: It is the employee’s responsibility to commit to expenses that can be honored and that other financial obligations outside of MARTA are not impacted by the decision to participate in this program. MARTA is not responsible for employee’s decisions. Before you get started, make sure you access your Voluntary Benefits Personal Budget Calculator to provide you with an estimated amount you could use to purchase some of the goods and services offered under this program. Click here to open instructions on how to use the calculator. *Disclaimer: This calculator is designed to help you determine an approximate amount that you may want to use to purchase goods and/or services under MARTA’s Voluntary Benefits Program. It is based on your MARTA salary and takes into consideration all other deductions made from your gross income. This calculator provides you with a suggested amount. It is your responsibility to ensure that you commit to expenses that you can honor and that other financial obligation you may have outside of MARTA are not impacted by your decision to participate in this program. MARTA will not be held accountable for your decisions. Use this calculator at your discretion. You can shop thousands of brand-name products and services today, and pay for them over time, right from your paycheck – without credit checks, hidden fees, or interest. Products and services include, but are not limited to, electronics, computers, vacation packages, furniture, appliances and more! Click here to access the vendor’s website. Legal insurance from ARAG® offers you affordable coverage when something in life turns into a legal issue, like a dispute with a contractor, a traffic ticket or the need for estate planning. When you enroll in the plan, you’ll have a place to turn to for help, with attorney fees that are 100% paid-in-full for most covered legal matters when you use a Network Attorney. For more information on how to enroll call 800-247-4184, or use the following Access Code: 18166mar on ARAG’s website. Click here to access the vendor’s website. *Limitations and exclusions apply. Insurance products are underwritten by ARAG Insurance Company of Des Moines, Iowa, GuideOne® Mutual Insurance Company of West Des Moines, Iowa or GuideOne Specialty Mutual Insurance Company of West Des Moines, Iowa. Service products are provided by ARAG Services, LLC. This material is for illustrative purposes only and is not a contract. For terms, benefits or exclusions, call 800-247-4184. Auto & Home Insurance – MetLife offers you Group Auto & Home Insurance. In addition to the group discount, you can save up to an additional 10% right away with our Welcome Discount for NEW customers. Additional discounts may include: payroll discount, superior driver and more! Pet Insurance – MetLife offers Group Pet Insurance plan that is a reimbursement plan available via Direct Bill. It enables you to provide proper care for your pets with your choice of veterinarian and coverage available for routine and preventative care. Voluntary Retiree Life Insurance – Future MARTA Retirees will have the opportunity to enroll in MetLife’s Voluntary Retiree Life (VRL) plan. This coverage offers you term life insurance with level premiums (subject to MetLife’s ability to change rates under the policy), and can help you stay on budget, secure protection, and allow access to addition services. Click here to access the vendor’s website. Live Chart: Go to www.MARTA.purchasingpower.com, log in and start a live chat with a Purchasing Power representative. Active eligible employees: Go to www.ARAGLegalCenter.com, enter Access Code 18166mar and learn more about MARTA’s covered matters. Retirees: Go to www.ARAGLegalCenter.com, enter Access Code 18166ret and learn more about MARTA’s covered matters and to enroll.